You can’t miss this massive, multi-venue performing arts center located under a glass vaulted rooftop along the Avenue of the Arts. 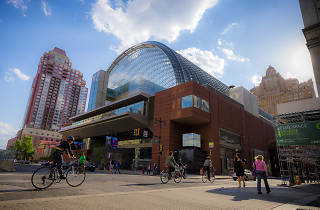 It serves as homebase to the Philadelphia Orchestra, the Pennsylvania Ballet and other local performing arts companies, as well as hosting jazz, rock and pop concerts throughout the week and weekend. The main stages here are the 2,500 seater Verizon Hall and the Perelman Theater, which holds 650 seats and a unique rotating stage. Chef Jose Garces handles catering here, so pop out into the lobby for wine, beer, cocktails or a small menu of snacks at the concessions stand in between shows. 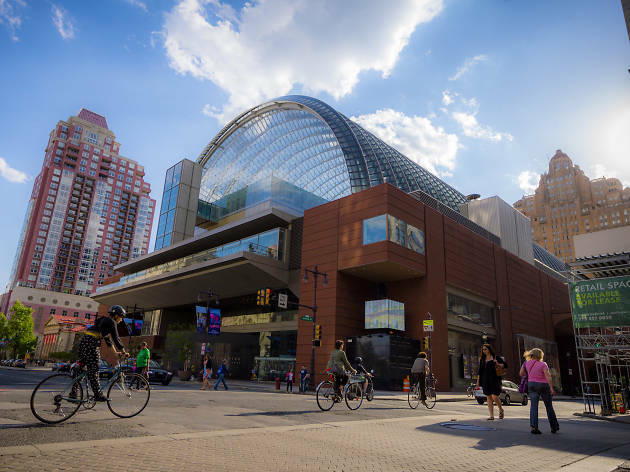 Speaking of the lobby: Check the Kimmel Center webpage for free performances held there throughout the year.